An absolute jewel of South Australias West Coast, Waterloo Bay Tourist Park is situated near the Town Centre within close walking distance to all town facilities and adjacent to beautiful Waterloo Bay. Elliston offers it all, from rugged coastline to pristine beaches, our park is an ideal base for touring and exploring the Eyre Peninsula. There are safe swimming beaches and rocks around the shores of Waterloo Bay to explore, and a short drive inland gives you wonderful outback experiences. See the local fauna & flora. Family day trips within short distances by car offer great locations for fishing, picnics, swimming and bushwalking. 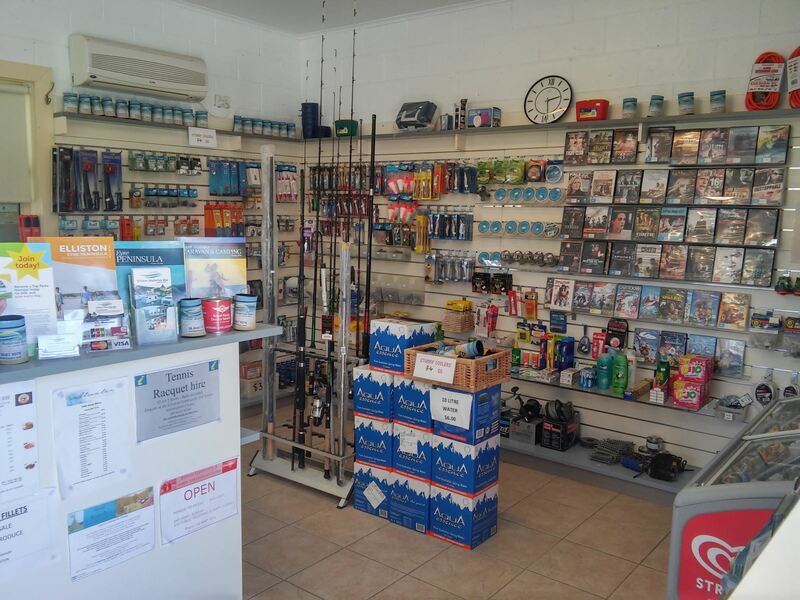 Within 15 Km radius of Elliston you can fish from the jetty, beach launch a boat catch many varieties of fish including Salmon, Whiting, Garfish, Trevally and Tommy Ruff. 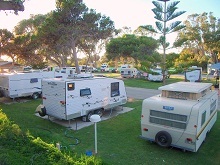 Waterloo Bay Tourist Park offers a range of comfortable cabin accommodation, along with well grassed, shady and sheltered powered, unpowered and ensuite sites. We offer 16 Digital TV Stations. Pets are welcome with sites. We now offer 1 pet friendly deluxe cabin with conditions, bookings essential. We are an ideal base to fish, swim and explore surrounding coastline beaches, or simply reconnect with your loved ones. Elliston is home to the Australian Salmon Fishing Championships held anually from 1st June to 31st August. Elliston Waterloo Bay Tourist Park is proud to be a major sponsor of this event.